Do Russians need psychological help? The Soviet experience taught Russians that it was better to suffer than admit the need for help, but times are changing. It should come as no surprise that living in Russia is hard: It’s cold, wages are low and the government is unresponsive. Nevertheless, Russians have traditionally taken the perspective that suffering is part of life and not worth talking about. Recently, however, more Russians have begun seeking out help from mental health professionals. Gavrilova may be the exception that proves the rule, however. The Russian attitude toward psychology is partially a result of life under Communism. During the Soviet era, people were constantly told that their lives were wonderful; it was unpatriotic to think any other way. After the fall of the Soviet Union, Russians were confronted with both the difficulties of economic “shock therapy” that caused standards of living to plummet and pop culture from abroad, showing what life was like in more affluent countries. Although this combination might have logically caused people to seek out psychiatric help, in reality the reverse happened. “In the Soviet Union, psychology as a science aimed at developing people’s potential was not welcome at all,” said Rustam Nabiullin, a psychiatrist at the Punctum Center of Psychology in Moscow. Rather, being sent to a psychiatrist was considered a form of punishment. Even today the prefix “psycho-” in Russian is considered a pejorative. Hotlines for people looking for psychological help appeared at the end of the 1980s, but the first center for psychological support was created in September 1999 by the Ministry of Emergency Situations. The Center for the Urgent Psychological Help was kind of like a department of the ministry and was intended to offer aid to ministry employees who had worked through situations such as terrorist attacks or plane crashes. Today there are seven counseling centers in Moscow that provide psychological support to city residents for free - one in each of the capital's districts. There are also 81 registered private psychology clinics, according to the statistics from last year. “I think the main problem today is that in our country there’re basically very few professional psychologists. There’re plenty of people who call themselves psychologists but they don’t know how to really help people. A good specialist is the one who’s got years of practice and knows tons of methods to use while working with clients,” Olga Gavrilova said. As a result, many young Russians prefer to turn to the self-help section in bookstores and look for books on psychology online. Russian Google gives 12.2 million results for the simple query “books on psychology download” and 638,000 for "Self-coaching books." Life coaching is also growing in popularity. Life coaching as a system grew out of the psychology of sports. Athletes training to become champions need strong motivation, and a coach finds ways to provide this motivation. Likewise, psychological self-coaching, as developed by Marylin Atkinson, helps people unlock their inner potential and use it in their everyday lives. Coaching first became popular in the U.S. and from there, spread around the world. With the help of the Internet, it's easy to find online videos and lessons on coaching or hire a coach via Skype. “A professional coach should be able not only to hear but to attentively listen to their client and ask appropriate questions that will lead a person to the right answer. Sometimes people, especially here in Russia, think that coaching is something very shallow and not serious but after working as a coach for more than 5 years I can assure you that dealing with unopened potential and trying to find this potential is sometimes way harder than dealing with your past emotional experience,” said Olga Gavrilina, a coach who practices at the Punctum center for psychology. 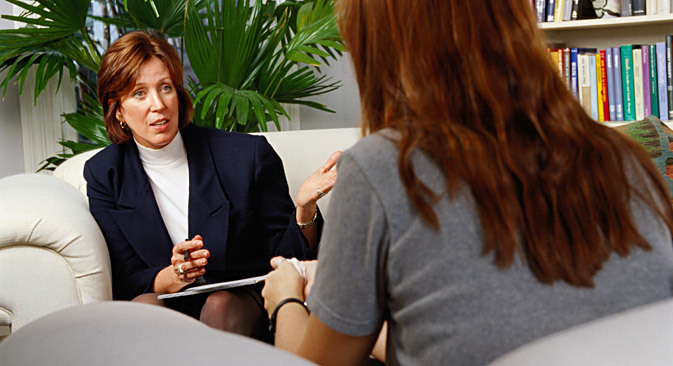 Life coaching can also help people focus their energy to complete a specific task. “For example, when a person has to go through a very difficult time in his or her life, like writing a dissertation and not having time to dedicate to the family, my goal is to create a certain strategy so that the client could both successfully continue his science work and spend enough time with his or her family,” said Gavrilina. Such self-coaching sessions require a lot of time and work so, generally, clients tend to visit a particular coach for many months or even years. As with psychologists, it’s easy to find a coach that is not qualified, so potential clients should research coaches before starting to work with one. While Europe and the U.S. benefit from a established system of life coaching programs and developed psychological methodology, Russia seems stuck developing the very basics of psychological practice. However, given the challenges of life in today’s world, the chances are that Russia will catch up quickly.